You'd think this would be pretty straightforward. You perform the work, you get paid. Sadly, for too many lawyers, nothing could be further from the truth. If I had a dollar for every lawyer who lamented the difficulty of getting paid for her work, you wouldn't be reading this because I'd be retired. There are many reasons why this is such a widespread condition. The good news is that you can eliminate all but one of them. First, let's establish that a client who is a collection problem is a bad client. Period. Full stop. No "...but they..." excuses. Why don't lawyers' clients pay them promptly? Failure to discuss terms clearly and get explicit agreement to honor them. Too many lawyers, when they get a new client, mention their hourly rate but never discuss the particulars of billing and payment. The result is the lawyer having expectations that the client doesn't share. It's hard to enforce something that the client hasn't agreed to. Solution: As part of your intake process, have a conversation in which you personally -- not your office manager or A/R clerk -- explains the terms of engagement and payment. "Thank you for choosing me. I'm eager to begin solving your problem. Let's clarify the particulars of our business arrangement. My bill will contain a summary of what I've done that month, related to progress against your objectives. Terms are net 15. For each month, I will email your bill no later than the 5th of the following month, and will expect payment by the 20th. To do that, you agree to review it promptly and discuss any questions with me immediately. To avoid the vagaries of the mail system, we'll set up electronic payment via ACH. Is there anything that would prevent your honoring these terms?" This is likely the beginning of a negotiation about terms. Wherever you end up is less important than having an explicit agreement that your client has acknowledged. Now, these specific terms become part of your engagement letter, and the foundation for effecting collection without risk of rancor. Failure to bill promptly. As a result of my collaborations with legal market researchers, I've seen lots of client-satisfaction survey results. You might be surprised how many lawyers don't bill promptly, sometimes accumulating and submitting two, three, or four months of bills at one time. Generally, clients aren't monitoring whether or not they've gotten a bill from you in a given month. It's not their job to notice its absence. So, when they get a multi-month bill, it's not only a surprise, but it wreaks havoc with their budget. Yes, I know, it's the same total amount that they would have paid had you billed promptly, but the psychological effect is different. They resent that you've put them in this position simply because you can't keep up with the administrative component of your practice. Solution: If you can't or won't bill timely, hire someone to do it for you. Sticker Shock. The amount of the bill is a surprise. This happens frequently with front-loaded matters such as litigation or financial transactions, or with clients for whom this is their first experience with a large matter. Solution: Discuss with the client upfront the financial "rhythm" of such a matter. Give your client the benefit of your experience. Project the activity and cost for them. "Over the next 6-8 months, it will cost around $10,000, but it won't be evenly distributed. You should expect to pay about $4000 in the first month, $2000 in the second, then it will get sporadic, i.e., some months you won't spend a cent, others maybe $1000, and so forth." Better yet, prepare a project plan and budget, then manage by exception, alerting the client in advance of variances. Hourly invoices are cumbersome to review/validate. There are many reasons why I've always maintained that hourly billing is counterproductive, but one of the simplest is that the resulting bill features pages of line items from your timekeeping software describing day-to-day tasks and activities. This requires your client to read through this tedious litany and try to make financial sense of it in relation to the problem you're solving for him. The problem for you is that this unwelcome task is unlikely to make it onto your client's priority list, so you'll wait for your money. Solution: The optimal solution is to dump hourly billing. In the meantime, prepare an executive summary that explains the change in status of key indicators of progress. That's what the client is paying for: progress. If you've prepared a budget, you should also clarify what percentage of the budget has been consumed vs. what percentage of the job is done. There should be some correlation. If not, explain why, and how things will even out at a later stage. Clients question the value received. If your client is in-house counsel at a sizable company, this is perceived as "overbilling," i.e., putting too many hours into a matter relative to its strategic, operational, or economic impact. If your client is an owner or operating executive of the company, or an unaffiliated individual, it's not hard to experience pushback at the very idea that anyone's time could be worth $300, $400, or $500 per hour. Such people are accustomed to relating cost or risk to expected- and realized reward. Time has no inherent value. Your effect or impact may be worth tens of thousands, but your time itself is worth zero to clients. This is related to Sticker Shock in that the client is surprised that you're charging as much as you are for what they got. In fact, all price objections are based on perceptions of insufficient value. Solution: Stop viewing time as a unit of value; it's not. If you're experienced in this type of matter, you should be able to estimate total cost with some reliability. If there are contingencies that would change the estimate, explain them and the triggers that are the earliest warnings that this will be the case. Alert your client to those immediately. "Fred, you'll recall that we agreed that if the other party did X, we'd have to do Y, and it would cause our budget to increase meaningfully. Yesterday, I learned that they are likely to do X, so let's discuss its impact on our strategy and budget." You don't expect timely payment. There's a difference between "hope to be paid" and "expect to be paid." Your actions must demonstrate that you expect to be paid. Lawyers are so reluctant to discuss payment that they wait, hoping that payment will arrive tomorrow, saving them from having to call the client to ask about it. That date keeps slipping because you allow it. Solution: First, change your mindset. The client expects you to perform, and you have. Why wouldn't you expect them to honor their half of the agreement and pay you in full, on time? 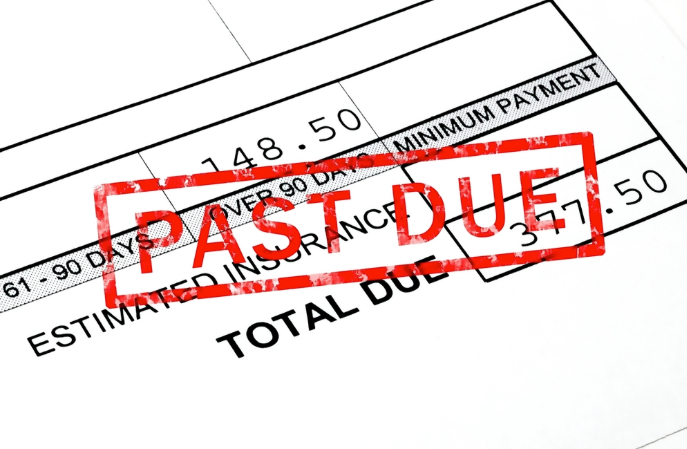 If someone has agreed to pay you by a specific date and you haven't received payment by that date, the following day you have to be on the phone. "Jane, this is Mike. Yesterday was the 15th; we didn't receive payment as agreed. Can I count on you make sure we're paid today?" It might take two or three months of this exchange, but the client will get the message that you're serious about timely payment as agreed. She doesn't want to have this conversation every month any more than you do, so she'll get serious about reviewing your bill promptly and making it clear to A/P that these terms are to be honored. Or, she'll discover legitimate obstacles that require you to modify the terms. It doesn't matter what the terms are, only that they're honored consistently by client and lawyer. (This is analogous to enforcing IP rights, i.e., if you don't do it consistently, after awhile you won't be able to at all.) At this point, at least some readers are thinking, "Won't such measures risk the client relationship?" Only if the relationship is an abusive one. If you're willing to be abused, stop reading. Your client is using you as his bank. Yes, there are clients who are ethically challenged, who intentionally delay payment, making their suppliers their de facto bankers. I'm not referring to being late by a few days, but by months, where you're carrying an indefensible A/R balance. Solution: If you've taken the steps above, and they client continues to delay payment, you have only two levers available: 1) Explain that you'll resume work on the matter as soon as you receive payment, and stop all work temporarily. 2) Walk away entirely. This client either thinks you're stupid and don't recognize the game they're playing, or that you're so desperate for work that you'll tolerate it. Either way, they don't respect your work or you. Your client is unable to pay you. Companies and individuals get into jams, and simply don't have the cash to pay you. Solution: First, make sure you understand the problem, and whether or not you're the only supplier not getting paid. Are they paying their rent, utilities, payroll, car leases, accountants, consultants, etc.? If so, you're considered a non-critical supplier. You need to grasp that sobering reality; it means that they're prepared for you to walk away, at least more so than those who are still getting paid. Have a discussion with your client to determine whether this is a temporary or long-term problem. What's causing it, what will solve it, and when? If you decide to continue working for them and defer payment during the period that they project they can't pay you, acknowledge that you're agreeing to be their banker, i.e., to lend them money. Keep in mind that the longer arrears accumulate, and the larger the resulting balance, the less likelihood of collecting in full, or at all. If you're justifying the risk by pointing to a longstanding business relationship, that's fine, as long as you'll be OK if the loan turns out to be a gift. Remember, too, that owing a large sum -- or being unable to collect one -- is often corrosive to an existing relationship. If the relationship is going to tank over this, you might be better off having that happen now, before you create a bigger loss. As you've discerned by now, the key to all of this is relative leverage. If your marketing has produced a reliable flow of prospects, and you've developed the sales skills to convert them into clients, you can confidently apply reasonable steps to assure timely payment. The risk of a client responding negatively is offset by the fact that you can afford to lose someone who recoils when you apply standards and establish boundaries for your business relationships. If you've not established effective and sustainable opportunity-generating marketing, and you don't have the skills to convert opportunities into clients, you probably can't risk insisting on being paid fairly and timely, so you'll continue to be your clients' banker. Which situation you face is completely within your power to determine. RainmakerVT's online marketing and sales courses will teach you the skills you need to generate a steady flow of qualified prospects and convert those into clients. Click here to view the courses.